How was it evaluated? ? Click hereTo become a DPS evaluator today! 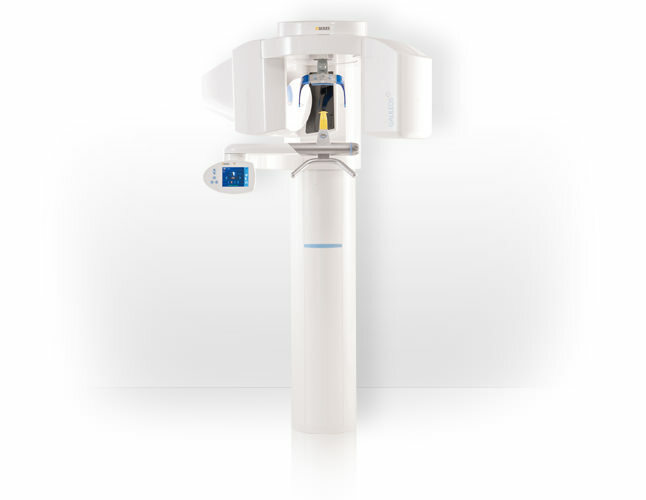 GALILEOS captures the entire oral-maxillofacial region in 3D CBCT imaging and assists in planning treatment for the complete dentition, sinuses, airways, and temporomandibular joints (TMJ). GALILEOS 3D imaging technology provides dentists with clear, high-quality x-rays while requiring one of the lowest amounts of radiation to produce the images. 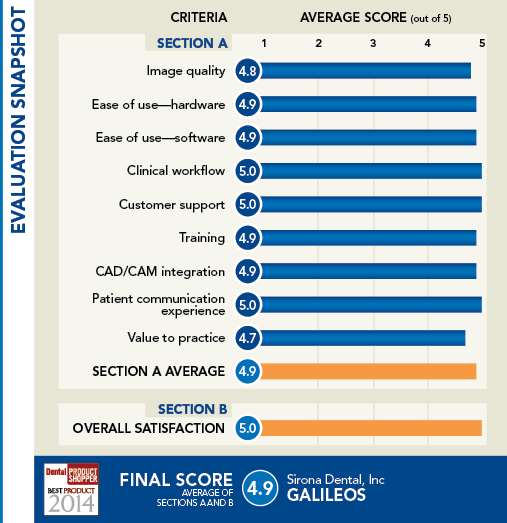 Dentsply Sirona focused on the patient and dental practitioner when designing the GALILEOS. The unit ensures maximum certainty during implantation procedures through use of integrated surgical guides with guaranteed accuracy. GALILEOS comes with state-of-the art 3D software that assists practitioners for implant preparation and all diagnostic dental equipment. Manufacturer Description: Paired with CEREC technology, GALILEOS offers safety during surgical and prosthetic implantation and a better illustration of the comprehensive treatment process for patient presentations. Evaluator Feedback: With ease of use and a seamless integration being cited by participating evaluators, 7 evaluators rated the software and hardware ease of use as excellent, with 1 clinician rating it very good. Manufacturer Description: GALILEOS ensures the lowest effective dose of radiation while still getting the best image quality. The optional HD mode of the GALILEOS Comfort Plus guarantees the clinician the highest quality image and a quick, clear diagnosis. Manufacturer Description: Using facial scanning capabilities, GALILEOS allows patients to better understand treatment recommendations and to follow through with them compared to standard x-ray practices. With more comfortable patients, the dental practice will be able to generate more patient recommendations and build trust.